I do cook with Swiss chard often; Swiss chard soup or Swiss chard with brown rice are some of the dishes that I make on the regular basis. Here is another recipe that I made that turned out great. 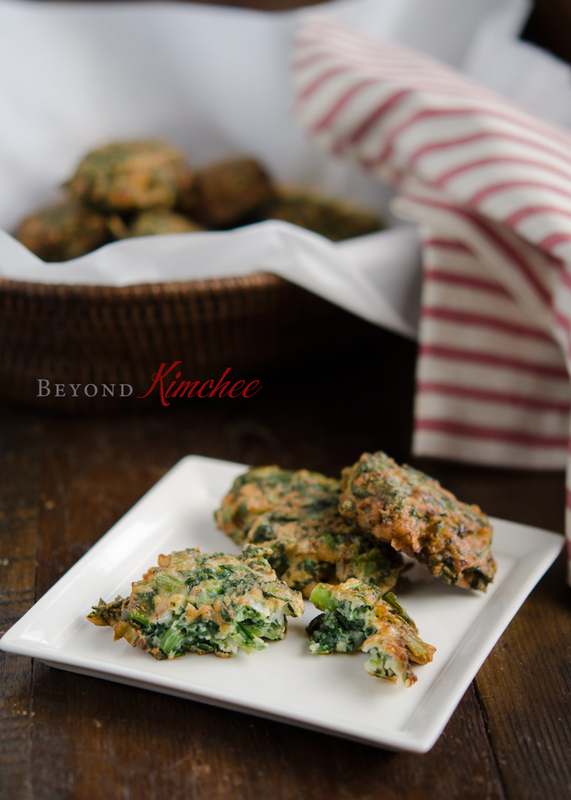 It is Swiss chard fritters with Parmesan cheese. 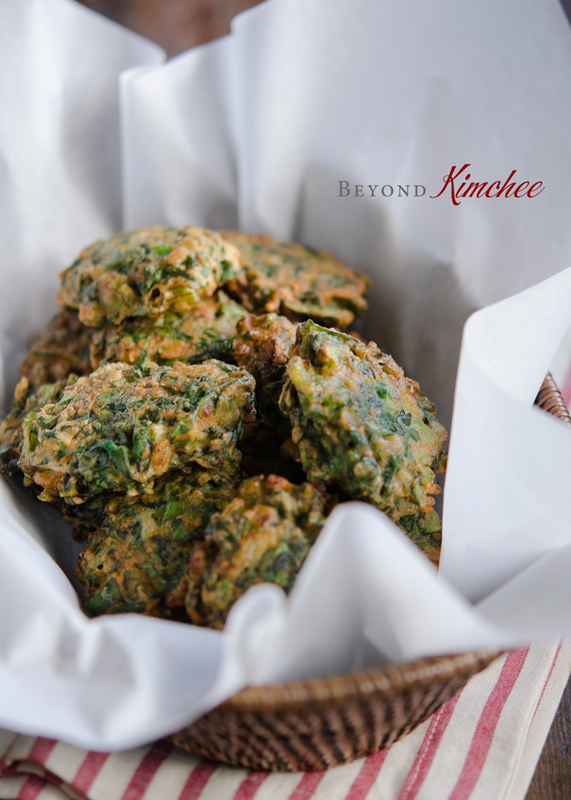 Very simple to make and enjoyable to munch as snack, these fritters will be the perfect finger food or side dish for everyone. 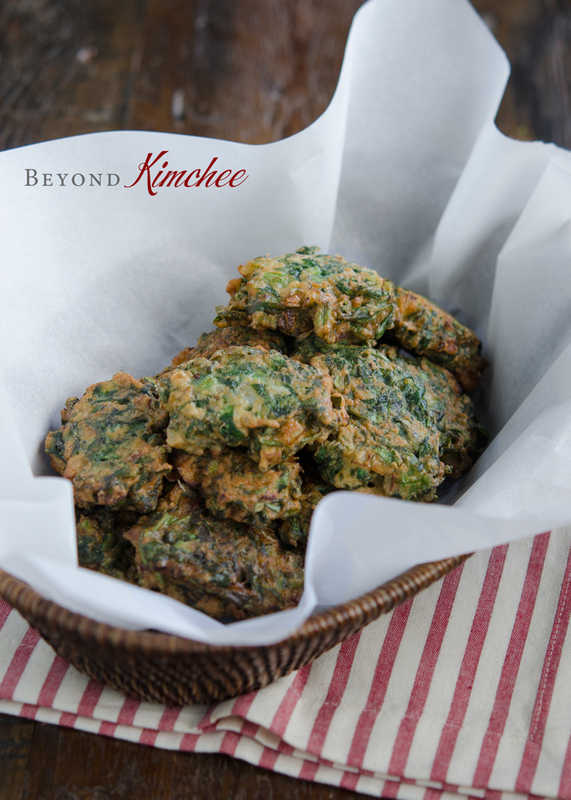 Even the little people who hasn’t developed the taste bud for the goodness of greens would like them. Mine did! 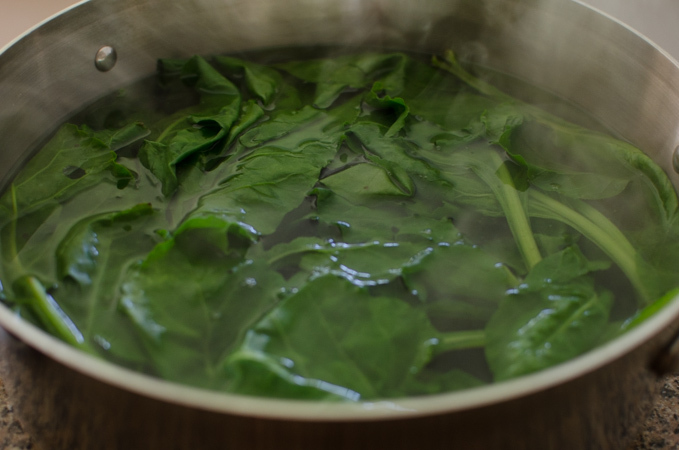 Cook the chard in the boiling water with a little bit of salt. and squeeze out the excess moisture. 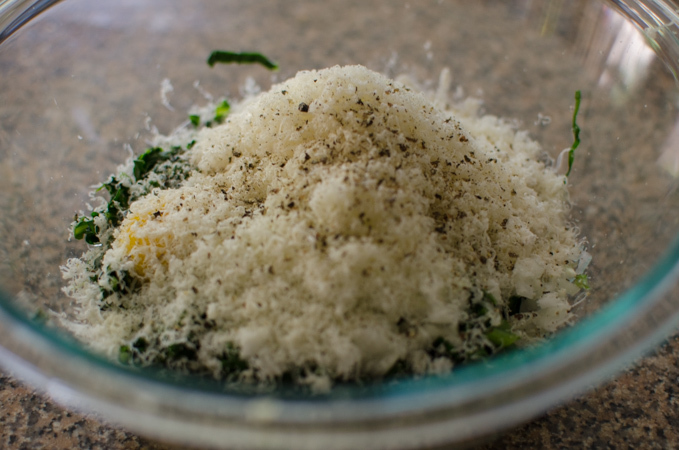 Add the rest ingredients including the grated Parmesan cheese. 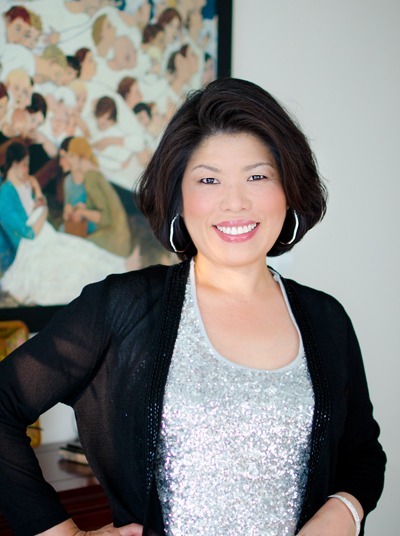 … enjoy the goodness of your not-so-hard labor of love. You can dip them in a soy + lemon juice dipping sauce or any type of dipping sauce of your choice but I like mine just plain, the way it is without any dipping. They were just rightly seasoned. Delicious! If the tip of the stem part of Swiss chard is tough, cut them off. 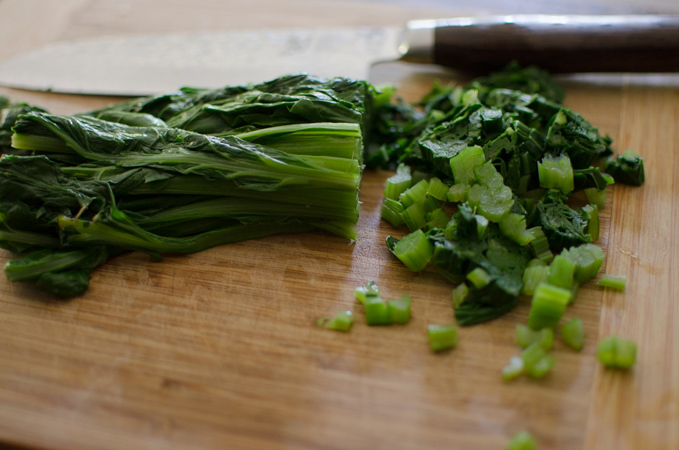 Cook the chard in boiling water with a little bit of salt. Drain and rinse with cold water. Squeeze out excess water. 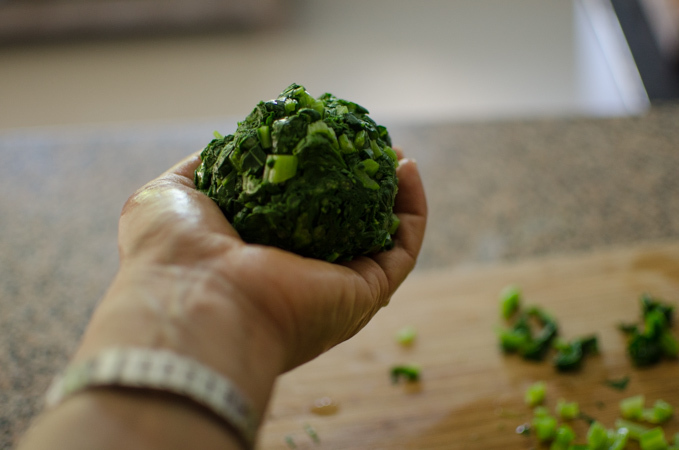 Chop the chard into small pieces and squeeze out again to remove excess water but not to be totally dry. 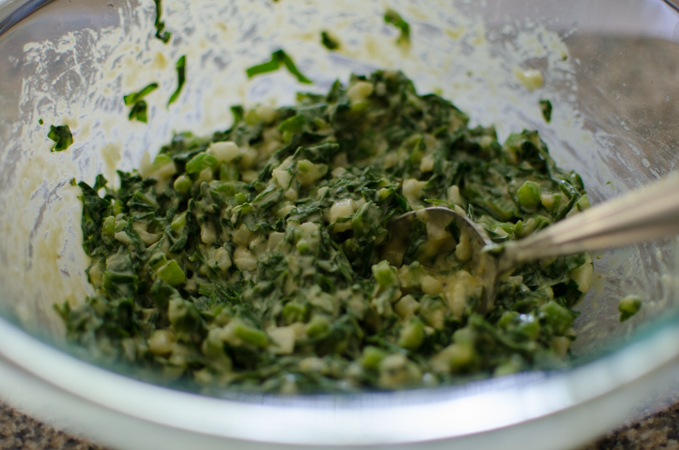 In a mixing bowl, combine the Swiss chard, flour, eggs, and cheese. Season with salt and pepper, and mix well. Heat oil in a frying pan over medium heat. Spoon up the mixture in oil and fry until golden brown, about 2-3 minutes on each side. Drain the excess oil on a paper towel and serve hot as is or with the dipping sauce of your choice. Happy new year! 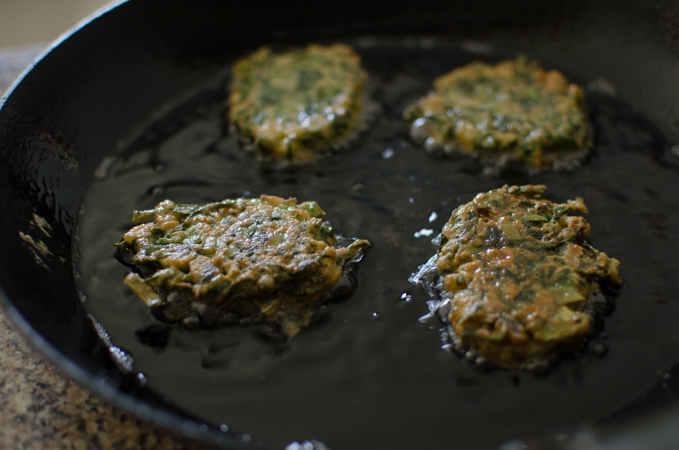 The fritters look perfect, green and gold and tempting. Are you sure this is swiss chard? Swiss chard usually has a thicker stem...and is usually red. I know what you mean. It is a kind of Swiss chard but slightly different than the most. The stem part is thinner, which means they must have been harvested before they grow too big. Some Swiss chard has white stem while others have red. Hello, Do you have a restaurant here in Argentina? 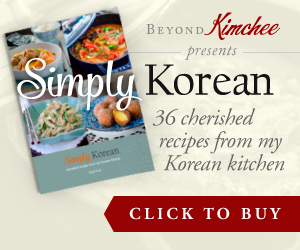 :) I miss korean food so much ! No, unfortunately I don't own any restaurant, but there is a Korean community near Avenita Moron in Bs As with a several Koran groceries and restaurants. I am sure you can google search the locations. I'll have these fritters plain, simply with a green side salad. Yum! That sounds like a great idea! Thanks! Made these for a book club potluck and got many compliments.